Spalding Bye Bye Odor Concentrate -- 4 oz. Bottle. $19.95. 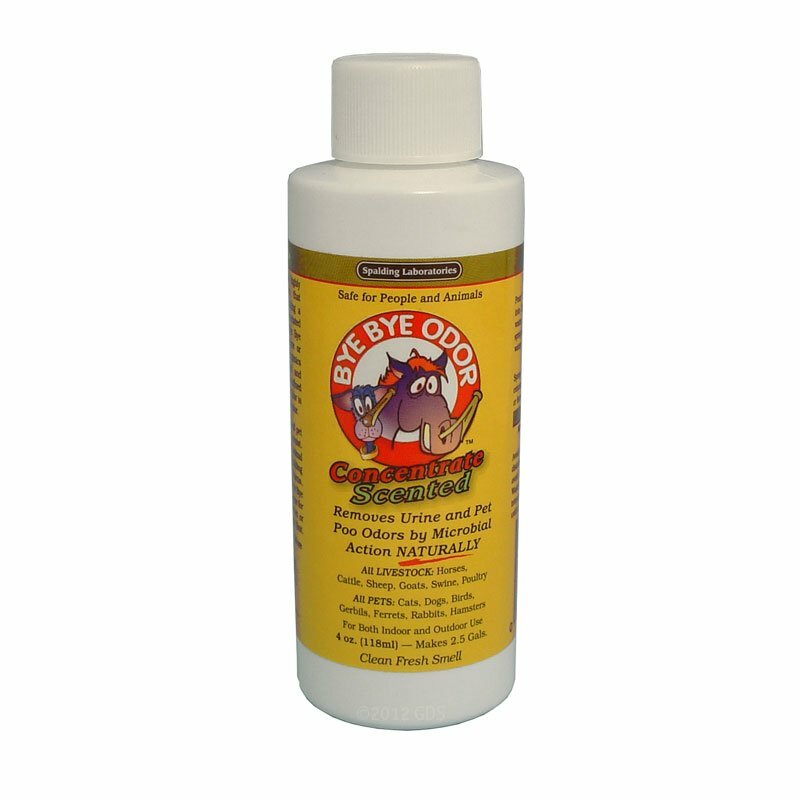 "I have tried a lot of different deodorizers, but nothing works as well as Bye-Bye Odor. Just a weekly misting does the job." I live in a duplex and have a small confined gravel spot for Gus, my Pudelpointer, to do his duty. I have tried a lot of different deodorizers, but nothing works as well as Bye-Bye Odor. Just a weekly misting does the job. "It works great at handling the odor of multiple dogs." I purchased this product in the past. It works great at handling the odor of multiple dogs. When I had a large litter of pups in my backyard it did wonders at reducing the smell. This stuff is amazing! Highly recommended. This stuff works well in my kennel. Just a really good microbial deodorizer. Easy to use, pleasant odor. This is to expensive for the amount you get. Pet Smart has a less expensive produce (Top Oaw Yard Oder Eliminator Plus) that does not work as well but works well enough to offset the difference in price. Comes in a 64 oz concentrate and can be attached to a hose or a sprayer. Bye Bye Odor 4 oz. concentrate is to be diluted and put in a pump sprayer. Makes 2.5 Gallons. Safe for people and animals, both indoors and out. Bye Bye Odor is also available in a 32 oz. Concentrate.